Once upon a time, consumers would clip their coupons from their Sunday FSI circulars, take them to the store and turn them in for their discount. Consumer goods manufacturers incented their consumers to try new products, buy multiples or use the FSI as another form of advertising.While the idea of the coupon has not gone away by any stretch of the imagination, how consumers want to inter act with them has. Mobile has changed everything – sort of. People want to use their phones for everything including cashing a coupon. They assume because they can pay for their Starbucks with a swipe of their phone or use a coupon on their phone when they shop at the Gap that they can do the same with coupons in the grocery or big box store. Manufacturers want to take advantage of this trend and deliver mobile coupons to their consumers. Unfortunately, reality makes things a bit more complicated. Consumers and manufacturers are moving faster than the redemption agencies and retailers can keep up and this has made the coupon landscape confusing especially for those either just entering or trying to re-enter after an absence. So, let’s start with the issue of technology. Retailers and manufacturers work with redemption agencies to be the financial go-between these two entities for coupons. Retailers collect the coupons and send them to the manufacturer’s agency who records and then bills the manufacturer for the coupons redeemed so that the retailers are refunded for the coupon. This is all based on a physical coupon that can be audited and checked for fraud. Simple, right? Not so much when you involve the mobile coupon. The retailer would theoretically scan the mobile coupon and take the discount as they would with a printed coupon. But then what? They don’t have a physical coupon to send to the agency and there is no way to account for fraud. How does that discount get communicated back to the manufacturer? It can be done in theory, but at this point there is no consistent technology that all of the retailers can use. Internal systems are different and while the redemption agencies are working them to come up with a solution there currently isn’t one. What this means is that the product manufacturer needs to come up with alternatives to get mobile coupons to their consumers that want them. You may be asking – why can the retailers do mobile coupons for their stores? The answer is simple, it is their store and/or product so if a mobile coupon is used there is nothing that goes back to the manufacturer, it is just treated like a sale price. What are the manufacturers to do if they want to engage in mobile coupons? There are options out there and the key is to determine which best meets your needs. There are many coupon apps out there. 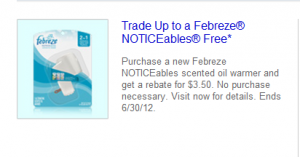 Some names you may have heard of and others newer – RetailMeNot, Coupon Sherpa, Ibotta. These work by providing coupons to retailers such as Gap, Aeropostal and Babies R Us. The problem here is that it doesn’t support manufacturer’s coupons. A new company, MobiSave, is coming out with an app that allows you to choose your offer and then scan your receipt within the app. The consumer will then get refunded the coupon amount via PayPal. 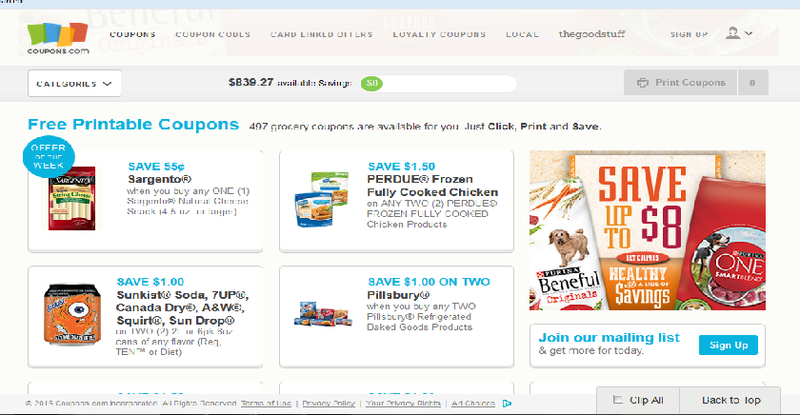 Coupons, Inc., News America and a number of others now have deals with the grocery and big box manufacturers to load special offers/coupons directly to your frequent shopper card. When you scan the product at check-out it deducts like a coupon. One way to bypass the coupon redemption issue is to create a joint partnership with a retailer such as CVS, Babies R Us, Target, etc. You create an offer that is pushed out to consumers so that it is downloadable onto their phone. The consumer scans the coupon at the register like they would any other retailer coupon. One only hopes that the retailers and the redemption agencies get their act together and figure out a solution so that consumers can use their phone for manufacturers coupons. Until then, consumers will have to print coupons from their computer or clip them from the Sunday circular. Sampling is an important tactic within marketing and there are a variety of sampling types and vehicles you can use to distribute your product to a target audience. Additionally, there are many times within a product’s lifecycle that you may want to sample, including a new product launch, trial to a new or expanded target audience, as a sales incentive with a retailer, to name just a few. However, sampling programs are a not one-size-fits-all proposition and each brand team should approach their plan through a customized lens that looks at who is your target, where do you find them, how big is your budget and how are you measuring success? Sampling also should be approached as an integrated effort and not just a standalone tactic. It works best when supported by a larger marketing communications plan. I have developed many sampling programs throughout my career. They have ranged from the very small (1000 units) to the very large (14 million units) and in each case I examined the key components I am outlining for you below. I would like to tell you that there is a magic formula for successful sampling, but there really isn’t. 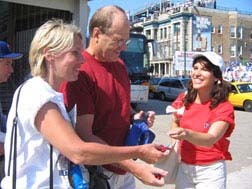 Different sampling vehicles have unique response rates and each target demographic responds differently to each sampling method as well as your individual product. Sampling won’t help if the product doesn’t connect with your target audience. If you develop a sampling plan methodically and take into account these considerations you will be more likely to be successful. 1) Make sure sampling is the right vehicle for your product: Not every product should be sampled or can be sampled effectively given the size of your budget. Establish strong objectives and goals for the sampling program and make sure that sampling will help you achieve those goals. For instance, your product must be refrigerated but you don’t want to sample at retail and you want to reach 250,000 18-24 year olds with a budget of only $150,000. Sampling may not be feasible in this case, and you may want to change your parameters or your goals. 2) Be Targeted: Sampling will be totally ineffective if your sample doesn’t hit your target audience effectively and efficiently. For instance, you don’t want to sample at Spring Break if your target audience is 45 to 54 year-old women. The more targeted the sampling the higher chance of converting that sample to trial and ultimately to purchase. That doesn’t mean that all your sampling should be direct mail, but you want to ensure that the greatest number of samples are reaching your target without duplication. 3) Test-and-Learn: What seems like a good way to sample may turn out to be the absolute worst, either due to the delivery method, the fulfillment agency or the venue. On the other hand, what seemed like a slightly odd venue may turn out to be the most productive in terms of trial. When possible, test smaller programs to determine if they are delivering the ROI you need and they are meeting the objectives of the total program. Once you’ve determined which programs are going to be successful, build these into your larger plan. Sampling is often part of the long-term strategy and something that a brand does every year. In these cases, test-and-learns offer the most effective means of developing a truly efficient and successful sampling plan with programs that work well for the brand. For others, sampling is just part of a new product launch and seen as a short-term hit. If that is the case, then test-and-learns are tougher, but still can be considered as part of the in-market test phase of the product launch. 4) Include as part of an integrated plan: Sampling in and of itself will not necessarily drive sales. Sampling should be part of a broader plan that drives awareness and trial. Just because a person has tried a product and liked it doesn’t mean that they will automatically go and buy it. In-store offers, online advertising and outreach, advertising and other media vehicles will continue to drive awareness and remind that consumer of the product they sampled. In some cases, they will receive the sample but not try it until they are reminded by the other messages around them. Include different sample delivery methods that coordinate with your integrated plan to broaden your reach and provide an ability to determine the best vehicle that drives trial and purchase by your target audience. 5) Look for Value-Added Programs: Often sampling is part of a larger sponsorship or media partnership. These sampling opportunities may be tougher to see a positive ROI, but they often bring a more intrinsic connection to your brand’s psychographic as well as increased opportunities for expanded media. 6) Provide a sales incentive to trial: Even when someone has tried a sample and liked it, they often need some help putting it in their kitchen cabinet. A financial incentive such as a coupon will bridge any hesitation the consumer has in a first-time purchase. Furthermore, if you are conducting a sampling program as part of a customer marketing initiative or a retailer direct mail program, the retailer is more likely to support the program if there is an incentive sending that consumer into the store to purchase. 7) Research and Measurement: Use market research for as many sampling programs as possible in order to determine actual ROI. Use outside, third-party test methods and do not rely on the sampling agency results or standardized questions. You want to develop research questions that are appropriate to your brand and brand objectives. You want to achieve a positive ROI based on purchase intent and actual incremental purchase, and the only way to determine that is through research. When used in conjunction with test-and-learn scenarios, you will begin to develop a sampling plan that will drive incremental sales. Additionally, use a consistent measurement methodology across each program so that you ensure an apples-to-apples comparison. 8) Evaluate and Adjust: Go back at the end of the year and evaluate all of your sampling vehicles both separately and as a whole. Determine your overall program ROI and evaluate if each vehicle and the total plan is delivering against objectives. If your sampling initiatives occur year over year, adjust your plan based on the evaluations of objectives and ROI. So, how you may ask does this translate to the real world? Here is an example. A brand team was given the challenge of delivering 8 million samples for a product launch, but they were told to keep the delivery cost to an average of $.12. The only way the agency putting the plan together could deliver that was to utilize commodity sampling, meaning that they throw them out there broadly the cheapest way possible with limited ability to ensure the target was getting the product with no duplication. The actual ROI was around $.20 when what they wanted was much closer to $1.00. There was limited market research so they had no way of determining if the sampling worked. One year post launch they were still sampling this way and there was little additional promotional activity to connect the sample to the overall brand message. A lot of money spent with little to show for it. As year two and three plans were executed the sampling plan evolved and the team moved away from commodity sampling to a more integrated approach. They looked for vehicles that provided added value through additional media, sponsorships and coupons. They moved to more targeted vehicles such as direct mail and retailer sponsored programs that while more expensive deliver the product directly into the hands of the target and offer more of an incentive to purchase. They added market research to every program and began to eliminate vehicles which were not working for them. By the end of the third year the overall ROI was around $1.00 and they upped the number of samples to 14 million. I have determined through working with many different products that developing a successful integrated sampling plan is a little bit art and a little bit science. You need to fully understand your target audience and their motivations – demographics and psychographics, but you also need to look at the program financials, ROI and market research results. You also need to do your research. There are so many different ways to get a product into the hands of your target consumer and you need to search a little to find ones that will fulfill your product goals. I discover new vehicles every day that can get a product out there in ways I never have thought of. Just do some web surfing and listen to the vendors that call. In a future post I will provide some examples of good sampling programs that have taken these concepts into account.